You may have heard of a little thing WWE is doing soon called the Cruiserweight Classic. The brainchild of everyone’s new best friend Triple H, the Cruiserweight Classic is a Best of the Super Juniors/Super J Cup esq tournament that will take place over the course of summer early fall in NXT’s Full Sail stomping grounds. And while it doesn’t feature nearly as many big names as everyone seemed to (foolishly) think it would, there’s still some pretty big talent in the field such as Zack Sabre Jr., Kota Ibushi, Tajiri, the poor man’s Paul London Brian Kendrick, Mr. Candice LeRae Johnny Gargano, Tommasso Ciampa, Akira Tozawa, Drew Gulak, Cedric Alexander, T.J. Perkins, Rich Swann and others. Today’s return of the Lucha Tribute will focus on one of the three luchadors (aside from Perkins and Chilean Raul Mendoza) who are taking part in this. For fans of WWE who have never heard of this guy, think of this as an all you need to know pass on the luchador WWE will introduce to you as Gran Metalik. For lucha libre fans, consider this a look back at the rise of one of CMLL’s top young stars and soon to be lucha libre’s break out star, the one and only Mascara Dorada. For most of you who will be checking out Dorada in the Cruiserweight Classic, the only thing you know about this man is that he works for CMLL (even if you’re not quite sure what this means). For those like me, you know that Dorada is one of the top young stars of lucha libre and, along with Dragon Lee and Rush the future of CMLL. He’s also an absolute freak athlete, but you’d probably expect that regardless of the fence you’re on. It’s a Cruiserweight tournament; you can fill it with as many Zack Sabre Jr.’s as you want, but if you’re not expecting at least 14 high flyers in this shindig then you’re dafter than Roy Hodgson against Russia. Like, really Roy; Lallana instead of Vardy? This is why you’re country can’t have nice things in international football! Now you’re probably asking yourself, whether you’ve never seen a CMLL match in your life or even if you have, how does one know if one is a top star in CMLL? And that’s a fair question; it’s a roster so vast and so wildly used that it can be hard to tell. Trust me when I say that Dorada is highly valued by Paco Alonso (international man of mystery) and the rest of the higher ups in professional wrestling are oldest living promotion. The biggest proof of this is Dorada’s numerous runs as CMLL World Welterweight Champion. Now I know what you’re thinking here; a) there are so many titles in CMLL that it’s hard to distinguish (true) and b) titles are largely meaningless props in Mexico (largely true). Hell if you really wanted you can bring up that the CMLL Welterweight belt isn’t even that old, having only been in existence since 1992. So what does Dorada holding the belt really prove if it doesn’t mean much? Here’s the kicker; it’s not that Dorada has held the belt it’s that he’s had it four times. In the history of CMLL there have only been five other luchador(a)s who have held a title at maximum four times; Virus (CMLL World Lightweight Championship), Marcella (CMLL World Women’s Championship), Karloff Lagarde (Mexican National Welterweight Championship), the original Pierroth Jr. and L.A. Park (both held the Mexican National Light Heavyweight Championship). Look at that list right there. Virus and Marcella are future legends, Lagarde is one of the most underrated luchadors of all time, Park is one of the greatest luchadors of all time and even Pierroth Jr. was pretty damn great. Dorada is in the company of those names right there and is better than at least two of those luchador(a)s. You know he has to be good when he’s been trusted like that. If that’s not enough evidence for you though I can always point out his connection with New Japan. One of the best kept secrets in all wrestling is that CMLL and New Japan have a relatively strong working agreement with each other, which has led to wrestlers from both promotions to frequent the other (guys like Mistico/Sin Cara, Dorada's pal Finn Balor, Shinsuke Nakamura and Andrade “Cien” Almas have done this). Dorada is no different, other than that he impressed New Japan officials so much at the 2015 Fantastica Mania show that he was able to secure a one year loan contract to appear exclusively in New Japan. 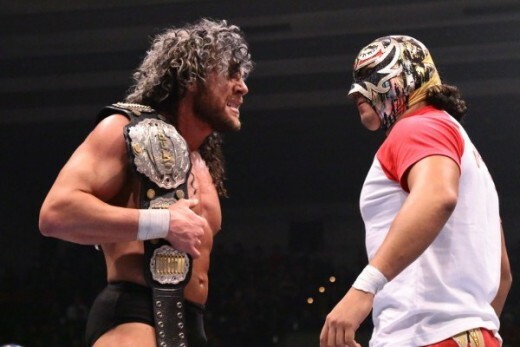 It was quite a year for him as a result; though some say he wasn’t used as well as he should’ve been, Dorada ended up having high profile bouts with wrestlers like Kenny Omega and Bushi, including a shot at Omega’s IWGP Junior Heavyweight Championship at Invasion Attack 2015 (spoiler alert; Meltzer loved it). He also took part in the annual Battle of the Super Juniors competition where he finished third in Group B with ten points, not enough to get him to the finals even though he technically tied with Ryusuke Taguchi and Bobby Fish for second in the overall competition (in comparison, fellow CMLL star and rival Barbaro Cavernario only got six points). Forget about how Dorada could’ve been used a bit better (most of his New Japan run restricted him to tag/six man tag matches); the fact that he did that well with those opportunities and even got a one year deal to work exclusively with New Japan is a testament to his ability. And that doesn’t even show how much his stint there helped him add to his already impressive ability that you’ll be soon. 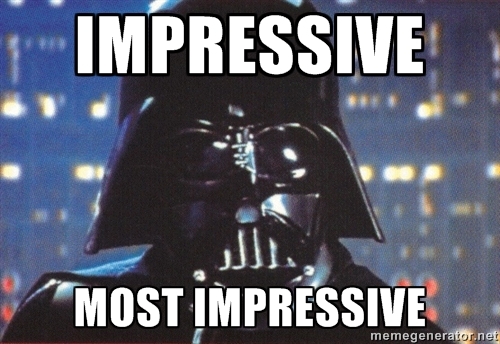 I’ll let Darth Vader sum this all up here for you. Now the question that’s popped up in lucha libre circles since the announcement of Dorada joining the Cruiserweight Open is whether this meant he was WWE bound following the tournament or if this was just a one off. If the man himself is to be believed this will be Dorada’s lone appearance in WWE this year; in an interview yesterday Dorada stated that he will return to CMLL once his run in the tournament is over. Not only that but Dorada also got the go ahead from Alonso to do it (he allowed Dorada to make the decision himself), a fascinating moment in time considering that CMLL was rumored to be blacklisting people who entered this tournament. The fact that Alonso (who by the way is the same dude that won’t allow guys like Konnan back into Arena Mexico) not only let Dorada do this but will allow him to return to CMLL afterwards should tell you all you need to know about how CMLL views Dorada. I mean I guess it could also mean Alonso has softened in his old age, but I’d venture to guess that’s not the case. Perhaps more importantly though is what this means for Dorada’s run in the Cruiserweight Open. Before his statement yesterday I was actually considering him a dark horse to win the whole thing. Now…let’s just say it might be wise to put your cash on Kota Ibushi or Sabre Jr. instead. I’m giving you two matches here; one from New Japan and one from CMLL. The New Japan bout is, unsurprisingly, the match with Omega from Invasion Attack 2015. The match lives up to every expectation you could place on it and Dorada’s high flying meshes quite well with everything the enormously talented Omega always brings to the table. The only negative thing about it (besides this being their only singles match from what I can tell) is that they only got twelve minutes. Otherwise this is as good a New Japan Juniors match as you can find . The CMLL match is from earlier this year when Dorada defended his Welterweight Title against Mephisto during CMLL’s Super Viernes show (the lucha libre equivalent of RAW). I wouldn’t say this match is quite on the level of the Omega match but it’s a better example of what Dorada brings to the table. Whereas Dorada and Omega were feeding off each other, this match with Mephisto is Dorada carrying the action by just pulling off death defying stunt after death defying stunt; there’s a few occasions where I thought Dorada had legit hurt himself doing a dive (part of that is on Mephisto, an underrated talent who unfortunately did a mediocre job catching Dorada on his dives that night). The Omega match gives us a slightly toned down version of what Dorada can do; here against Mephisto he reveals the full arsenal. To me Mascara Dorada is CMLL’s Aerostar; not only do they have a similar style (a fact that has caused some tension between the two) but they both have that daredevil attitude/style about them that has separated them from a lot of their peers. Yes the death defying leaps may be a risk for their health long term, but in an age of wrestling where guys and girls don’t do nearly enough to try and entertain the fans (including a number of performers that do have a high flying style) it’s refreshing to see a guy like Dorada going out and pulling out all the stops for the sake of the fans (note; Lucha Underground’s Angelico and Sasha Banks also share this quality). And make no mistake; that style is exactly why CMLL and New Japan think so highly of Dorada, why he’s a darling of lucha libre fans and why WWE is bringing him in for this Cruiserweight Open. Even if he only works one match in the tournament I can’t imagine people who see him will walk away thinking he’s anything less than exceptional. Selfishly I’m happy that this does appear to be a one off. Obviously any opportunity with WWE is a great thing, but Dorada is someone who can continue to help lucha libre grow in what is becoming a semi-boom period for the profession (never before has lucha had as much access as now). It thus thrills me to no end that he’ll be returning to Mexico after this to continue his great work there. 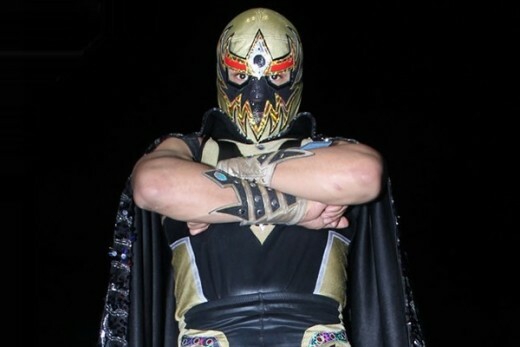 And hey, if Alonso and CMLL change their mind and do decide to blacklist Dorada, there’s always a certain Temple in Boyle Heights where fans would welcome him. I mean unless people there don’t want to see Aerostar and Dorada throw down. That’ll do it boys and girls. Hope you enjoyed this look at a dude who is going to be turning a lot of heads in the next few weeks. I’m off to watch the rest of the Euro 16 matches today before putting the game face back on tonight for a Lucha Underground review. Till then, go Wales. This is what you get for benching Vardy Hodgson. Like this article? Like Lucha Libre? Like me?! Head on over to the cool dudes at LuchaShop.com, enter in the code LTERIC and get some gear! How chill is that?! How well will Mascara Dorada do in the Cruiserweight Classic? Who is Matt Mortensen? Why do you keep putting him in these polls? !